Trying to identify which of the many Sallie/Sarah Bergers this might be. Perhaps taken in Philadelphia (Found Eureka Gallery and Gem Gallery, but no Eureka Gem Gallery in Phila.) H.A. Kemp set up shop in Benton, Bloomsburg, Fredericksburg and Lengleville. 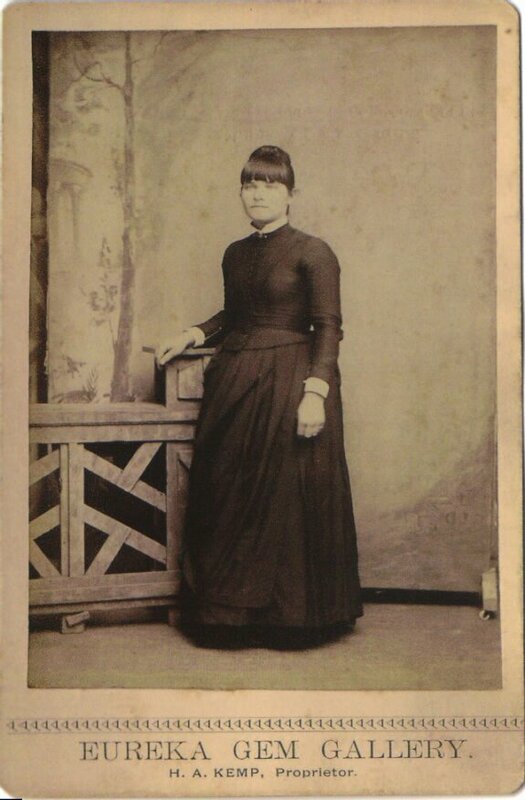 Assume Sallie is a Berks County Berger, as the photo was found in a Berks County collection.